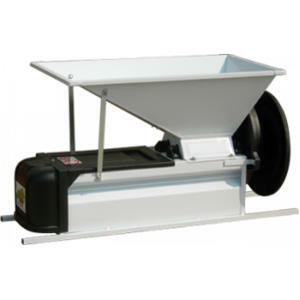 Painted Grape Stemmer-Crusher, Manual - F.H. Steinbart Co.
Great for crushing grapes or berries. The screw in the bottom of this crusher moves grape stems out one end, and crushed fruit out of the other, eliminationt he need for manual de-steming.